The Axis Energy Services leadership team and Board of Directors bring extensive experience at diverse companies spanning the oil and gas industry. Their veteran insights guide Axis forward as we continue to revolutionize well services. Wendell R. Brooks serves as President and CEO of Axis Energy Services. 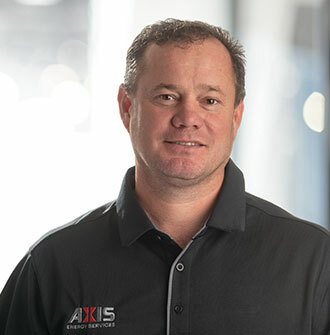 Prior to joining Axis at the company’s inception, Mr. Brooks was a managing director at B-29 Investments, LP from 2015 to 2018. Mr. Brooks previously served as an Executive Vice President and President of the Production and Infrastructure Segment at Forum Energy Technologies—an international oilfield products company—from 2010 until his retirement in 2014. Prior to that, he served as Chief Executive Officer and President of Allied Technology, Inc. from 2007 to 2010, when it merged with Forum. From 1994 to 2007, Mr. Brooks was the Group Director for the Well Support business of John Wood Group Plc., a public international energy services company based in Scotland and traded on the London Stock Exchange. He previously served as President of Del Norte Technology, Inc., a provider of positioning systems, from 1984 to 1994. Prior to that, Mr. Brooks was employed from 1975 to 1984 by Geosource, Inc., where he was involved in business development and served as President of two divisions. Mr. Brooks has been a Director at Archrock, Inc., a publicly traded firm on the NYSE, since 2015 and currently serves on the Audit and Compensation Committees. He served on the Board of Directors of the Wood Group from 1996 to 2007, and on the Board of Directors of Nine Energy Service, Inc. from 2013 to 2017. Mr. Brooks has a B.B.A. from the University of Texas at Arlington and an M.B.A. from Harvard Business School. Dirk Lee is the Executive Vice President of Operations for Axis Energy Services. In this capacity, Mr. Lee oversees the operations of all service lines, providing strategic guidance and coordination across the company. Mr. Lee was one of the founding members of Snubco USA LLC, which transformed into Momentum Pressure Control and was acquired by First Reserve Momentum and, later, Lime Rock Partners. Under Mr. Lee’s leadership, Momentum grew from a single snubbing unit and five employees to a fleet of diversified equipment operating across seven basins. Prior to starting Snubco USA, Mr. Lee had over 20 years of oil and gas industry experience ranging from a hand to a Regional Manager for Cudd Pressure Control and Regional Manager for Great White Pressure Control. Mr. Lee was the first employee of Great White Pressure Control and helped grow the company until its sale to Archer Daniels. As a lifelong entrepreneur, Mr. Lee was a founding member of M6 Energy Services, which provided cementing, acidizing and pumping services and was also acquired by Lime Rock Partners; Virtual HCM LLC, which provides telemedicine services; HD Hydraulics LLC; DJOT LLC; and TTK Energy LLC, which recompletes wells. 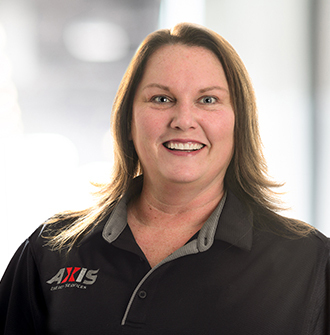 Jody Kindred is President of Axis Pressure Control Services. Mr. Kindred previously served as a Founding Member as well as Director, Vice President and Chief Operating Officer of Momentum Pressure Control LLC. Under the leadership of Mr. Kindred and co-founder Dirk Lee, Momentum—originally called Snubco USA—grew from a single snubbing unit and five employees to a fleet of diversified equipment and more than 100 employees. The company was acquired by First Reserve Momentum and, later, Lime Rock Partners. Prior to starting Momentum in 2012, Mr. Kindred had more than two decades of oil and gas industry experience—from working on drilling and workover rigs to becoming a District Manager at Cudd Pressure Control and Regional Manager at Great White Pressure Control. As an entrepreneur with expertise in well control and equipment design and manufacturing, he has been a founding member of multiple businesses. 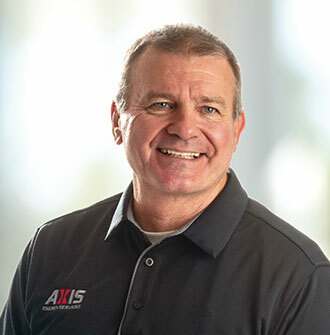 Garry Pruitt is President of Axis Pressure Control Rentals. Mr. Pruitt previously served as President of Momentum Pressure Control Rental LLC, which he helped found in 2018. 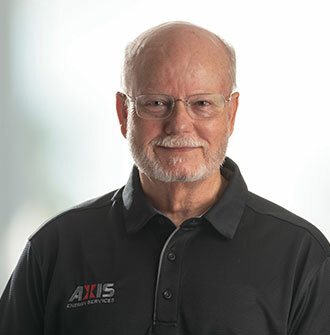 Mr. Pruitt brings 37 years of pressure control experience to Axis. During that time, he spent 23 years in various capacities in surface wellhead services and 14 years in fishing and rental services. For 10 years, Mr. Pruitt was a Partner and Operations Manager at Red Diamond Pressure Control, where he focused on rental equipment and workover and completion rigs. He enjoys building teams and providing solutions to customers. 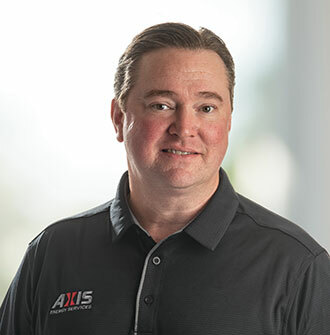 Stephen Moses is President of Axis Pumping Services. Mr. Moses brings more than 40 years of oilfield service experience, including more than 30 years in leadership roles in cementing and acidizing. He co-founded M6 Energy Services in 2016 and stewarded the business to growth across five basins—with an emphasis on safety, quality and dependability—before it was acquired by Axis. After starting his career as a roughneck, Mr. Moses rose through the ranks over the next three decades, serving in supervisory roles at several oilfield service companies. In 2005, he co-founded C&S Energy Services, managing all operations until the company was acquired 10 years later. Will Petter serves as the Chief Financial Officer for Axis Energy Services. Mr. Petter is responsible for all accounting, financial planning and reporting processes, and also oversees our insurance, banking and benefits programs. Mr. Petter’s professional history includes five years with Duff & Phelps’ Energy Investment Banking Group, where he provided merger and acquisition, private placement and bankruptcy advisory for middle-market oil and gas firms. Previously, he spent two years as an Audit Analyst with Ernst & Young. Mr. Petter received a Master of Accountancy from the University of Southern California and a Master of Finance and Bachelor of Science in Management from Tulane University. He is a licensed Certified Public Accountant in the state of California. David Etchelecu is Vice President of Health, Safety & Environment and Human Resources at Axis Energy Services. In this role, Mr. Etchelecu works with teams across the company to foster positive outcomes for personnel, customers and investors, as well as the communities where Axis conducts business. He has worked in HSE for nearly two decades, and believes processes and equipment must be designed so that people can err without causing injury, property damage or harm to the environment. Mr. Etchelecu has been named “Safety Person of the Year” by the Association of Energy Service Companies (AESC). He currently serves on the Advisory Board for the Occupational Safety & Health Technology degree program at Kilgore College. Mr. Etchelecu earned a Master of Strategic Leadership and a Bachelor of Business Administration from LeTourneau University. 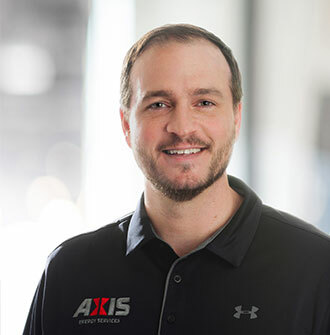 Erik Coleman is Vice President of Sales at Axis Energy Services, leading our sales organization. Mr. Coleman is responsible for developing strategic plans that promote sales growth and customer satisfaction, ultimately helping us to meet our business and financial objectives. 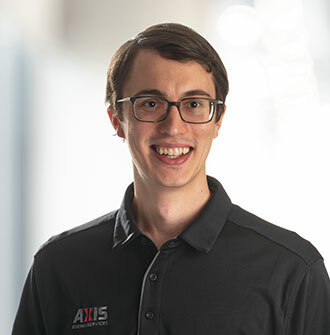 Prior to joining Axis, Erik served in various sales leadership roles at Key Energy Services. Most recently, he was Key Energy’s Director of Sales for the Permian Basin. He previously worked in management at United Recovery Systems in Houston, Texas. Erik earned a Bachelor of Science in Business Finance/Business Management from the University of Houston. He previously served in the U.S. Navy, attaining the rank of Aviation Ordnanceman. Shellye Burlison serves as the Director of Human Resources for Axis Energy Services. Ms. Burlison is responsible for all human resource functions including benefits management, compensation strategies, recruiting strategies and employee retention, employee development and establishing consistent HR policies and procedures across all of our service lines. Ms. Burlison has served in a number of senior human resources roles for nearly 20 years, including significant time in the oil and gas industry. Most recently, she was Director of Internal Operations & Human Resources for Applied Consultants, Inc. in Longview, Texas. Ms. Burlison holds a Bachelor of Arts in Human Resources Management from Ashford University. Fred Moses is the Corporate Vice President of Maintenance at Axis Energy Services. 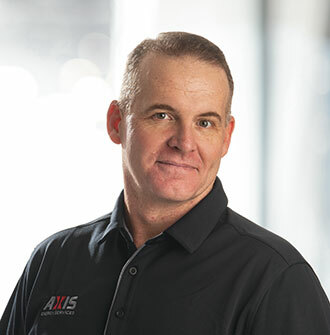 Mr. Moses oversees equipment and facility maintenance across all Axis service lines, bringing more than two decades of oilfield service experience. 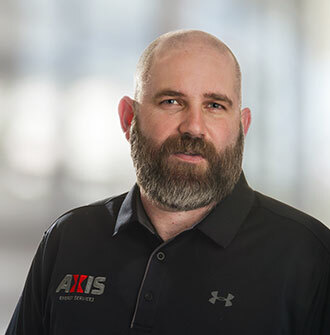 He co-founded M6 Energy Services in 2016, serving as Fabrication Manager and Supervisor for the cementing, acidizing and pump down service lines before the company was acquired by Axis. Previously, Mr. Moses served in maintenance leadership roles at C&S Energy Services and Halliburton after starting his career at Mechanical Gear Works in Longview, TX. Mr. Moses earned a Certificate in Diesel Technology from Kilgore College and attended Caterpillar 3500 Engine Controls School in Peoria, IL. Mr. Brooks serves as President and CEO of Axis Energy Services. 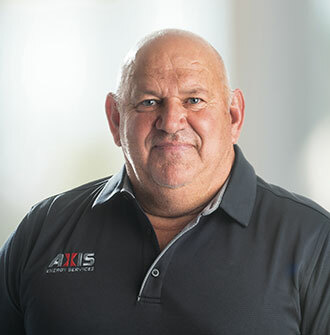 Prior to joining Axis at the company’s inception, Mr. Brooks was a managing director at B29 Investments, L.P. from 2015 to 2018. Mr. Brooks previously served as an Executive Vice President and President of the Production and Infrastructure Segment at Forum Energy Technologies—an international oilfield products company—from 2010 until his retirement in 2014. Prior to that, he served as Chief Executive Officer and President of Allied Technology, Inc. from 2007 to 2010 which was merged with Forum. From 1994 to 2007, Mr. Brooks was the Group Director for the Well Support business of John Wood Group Plc., a public international energy services company based in Scotland and traded on the London Stock Exchange. He previously served as President of Del Norte Technology, Inc., a provider of positioning systems, from 1984 to 1994. Prior to that, Mr. Brooks was employed by Geosource, Inc. from 1975 to 1984, where he was involved in business development and served as President of two divisions. Mr. Schmitz is the Chairman and Co-Founder of B-29 Investments, LP (“B-29”) alongside his brother, Steve Schmitz. B-29 provides strategic advice and financial capital primarily to energy and real estate companies. Mr. Schmitz is a lifelong entrepreneur and has founded, bought and developed numerous successful businesses in the energy and real estate industries. Mr. Schmitz is married to Sandy Schmitz and has three adult daughters. Mr. Schmitz currently serves as Executive Chairman of Select Energy Services, a leading provider of total water solutions to the U.S. unconventional oil and gas industry that completed an IPO on the New York Stock Exchange in April 2017. Mr. Schmitz also holds the position of Chairman of the Board of Endurance Lift Solutions and Bell Supply Company. Additionally, Mr. Schmitz currently serves on the boards of Forum Energy Technologies, Silver Creek Oil & Gas, CP Energy Holdings, TEC Well Service, Domestic Energy Producers Alliance, Southwest Diabetic Foundation, and the Harold Hamm Diabetic Center. Mr. Schmitz serves as a Senior Advisor to Crestview Partners, LP, a New York based private equity fund. Mr. Schmitz began his oilfield career in the early 1980s with BSI Holdings, an integrated wellsite service provider and oilfield equipment supplier. In 2003, the various companies under BSI Holdings became part of Complete Production Services, and Mr. Schmitz served as the North Texas Division Manager until November 2006. The company completed a successful public offering on the New York Stock Exchange in April 2006. Mr. Schmitz also founded Allied Production Solutions, which became part of Forum Energy Technologies. Forum currently trades on the New York Stock Exchange. Mr. Schmitz founded HEP Oil Company, which is now a part of Silver Creek Oil & Gas, which focuses on drilling, completion and production of oil & gas assets. He has also developed and sold seven acreage and production packages in the Barnett, Fayetteville, Eagleford, and Niobrara shale plays. Lastly, Mr. Schmitz founded Cimarron Gathering, LP, which became part of Copano Energy in 2007. At the time, Copano was a NASDAQ traded company, and it has since become part of Kinder Morgan. Jeffrey Scofield joined the Lime Rock Partners team in 2005. He became a Managing Director in 2011 and is also now Chief Operating Officer of the Lime Rock Partners investment team. Currently based in Houston, he has also worked in Lime Rock’s Westport and London offices. He has led opportunities in the E&P and oilfield service sectors in North America and internationally. Prior to joining Lime Rock, Jeffrey held positions in the investment banking groups of Harrison Lovegrove & Co., Credit Suisse, and Donaldson, Lufkin & Jenrette. He is a graduate of Vanderbilt University (B.A.). Jeffrey serves on the board of directors of Augustus Energy Partners II, Blackjewel, Capstone Natural Resources II, EnerMech, OiLSERV, San Jacinto Minerals II, SDI Gas, TEC Well Service, and Wayfinder Resources. Jeffrey also serves on the board of directors for Covia Corporation (NYSE: CVIA) and the Children’s Museum of Houston. Greg Highberger first joined the Lime Rock Partners team in July 2006 in the firm’s Westport office and is now a Managing Director in the firm’s Houston office. Prior to joining Lime Rock, Greg was an investment banking analyst in the Global Energy Group of Credit Suisse. He is a graduate of Boston College (B.S.) and Harvard Business School (M.B.A.). Since joining the Lime Rock Partners team, Greg has played a critical role in investigating and executing oilfield service and E&P investment opportunities in North America and internationally. He currently serves on the board of directors of Capstone Natural Resources II, GEODynamics, SDI Gas, Shelf Drilling, Silvertip Completion Services, and TEC Well Service. He previously served on the board of directors of Capstone Natural Resources, TAW Energy Services, and VEDCO Holdings. He also has been particularly involved in Lime Rock Partners’ investments in CrownRock Minerals, Iracore International, and Laricina Energy. Mr. Phillips joined B-29 Investments, LP (“B-29”) in April 2018. Mr. Phillips’ primary responsibilities include working closely with portfolio companies to guide them on strategic initiatives and evaluating new investment opportunities. He currently sits on the board of TEC Well Service, LLC and Klear Bit Technologies, LLC. Prior to joining B-29, Mr. Phillips spent 15 years with Halliburton working in various roles focused on pressure pumping. Mr. Phillips started as a Frac Engineer before taking roles in Sales and Operations Management. He most recently held the position of Permian Basin Operations Manager and was accountable for all product lines for Halliburton in the Permian. Before this position, Mr. Phillips was a Region Cementing Manager and Area Frac Manager. Mr. Phillips received his MBA from the Mays Business School at Texas A&M and his undergraduate degree in Electrical Engineering from Texas A&M. Oliver Phillips joined the Lime Rock Partners team in 2011 and became a Vice President in 2016. Now based in Houston, he has had diverse experience working for Lime Rock in multiple domestic and international locations. Prior to joining Lime Rock, Oliver was an analyst at Lazard Frères where he worked on M&A and restructuring transactions. He is a graduate of Rice University (B.A.). Since joining the Lime Rock Partners team, Oliver has played a key role in investigating and executing oilfield service and E&P investment opportunities in North America and internationally. He currently serves on the board of directors of Reveal Energy Services, TEC Well Service, and TGT Oilfield Services and has been particularly involved in Lime Rock Partners’ investments in Blackjewel, Expert Petroleum, Gas2, OiLSERV, SDI Gas, Tercel Oilfield Products, and Xtreme Drilling. © 2019 Axis Energy Services, LLC. All Rights Reserved.